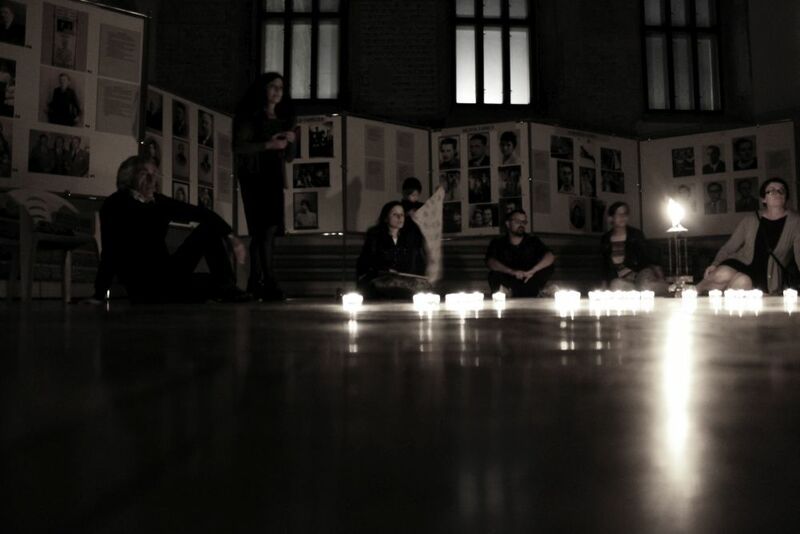 A month since the 26. 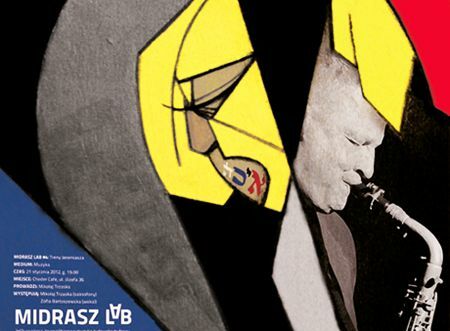 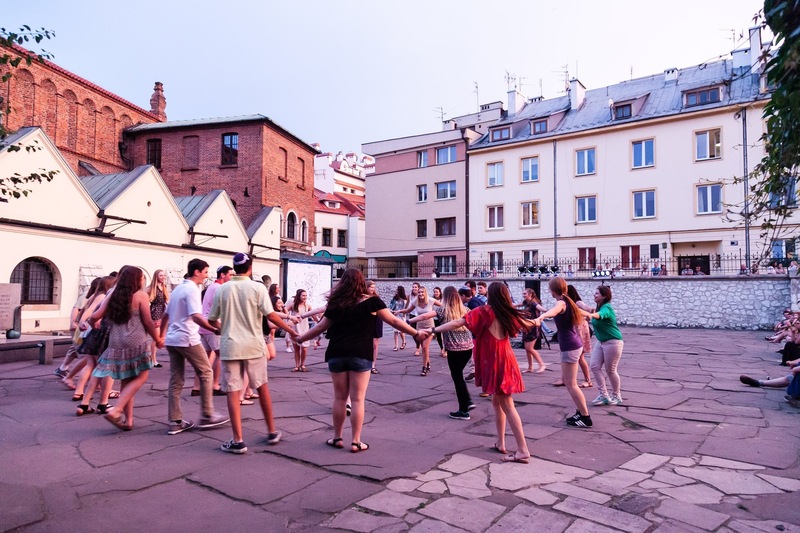 Krakow Jewish Culture Festival, we’ve had a chance to step back and reflect on what an incredible and groundbreaking time it was, and we would like to share some of our thoughts with you. 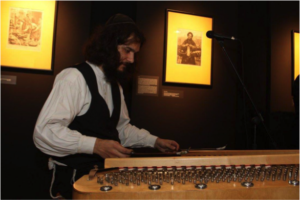 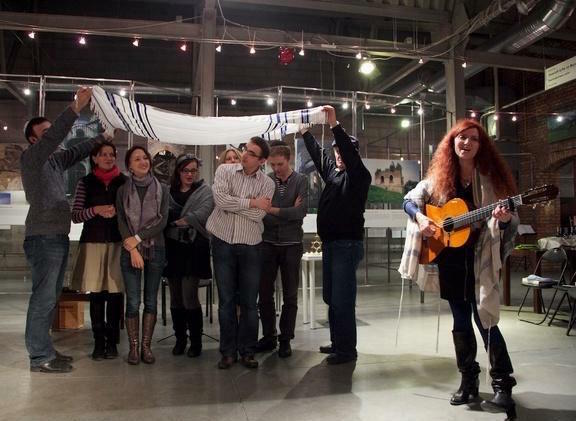 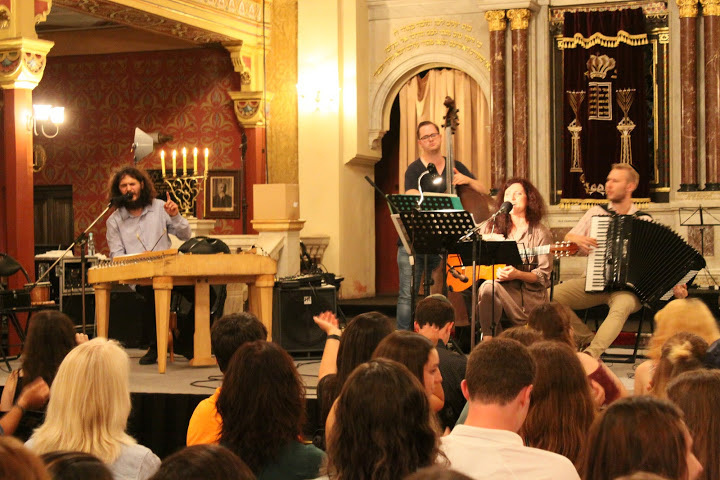 As is our tradition during the festival we organized two musical Kabbalat Shabbat evenings. 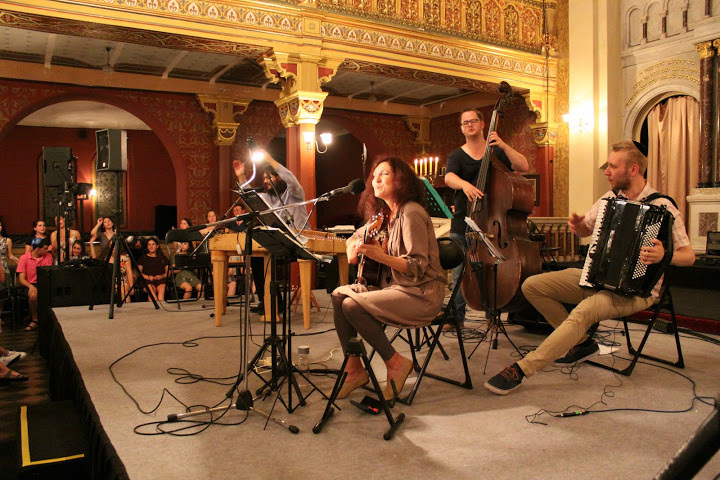 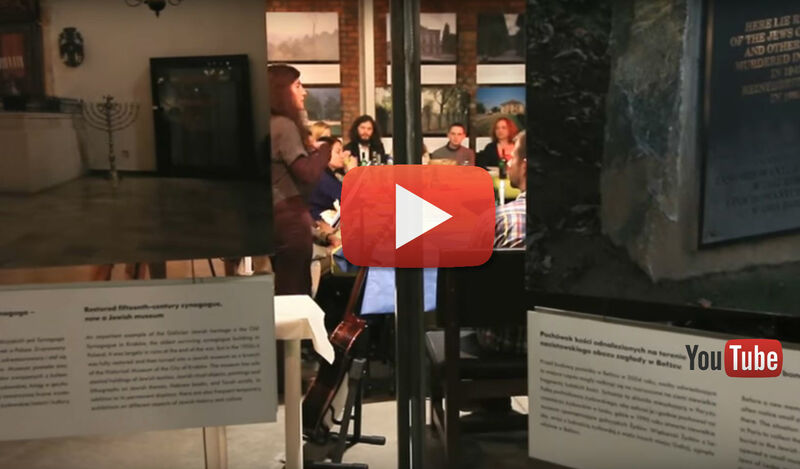 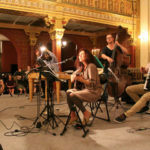 Led by Rabbi Tanya Segal and the amazing Mojše Band the Musical Shabbat fuses the tradition of chazanut of the Eastern European region with contemporary musical styles. 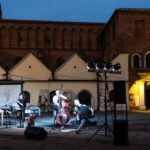 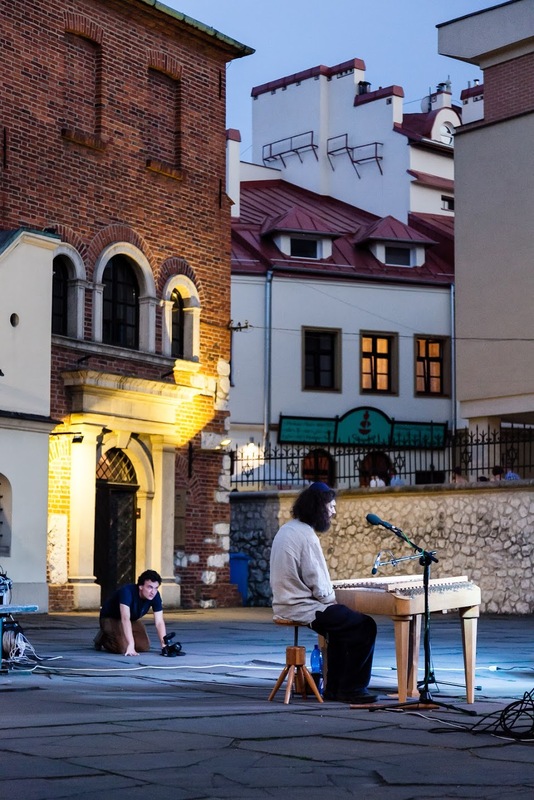 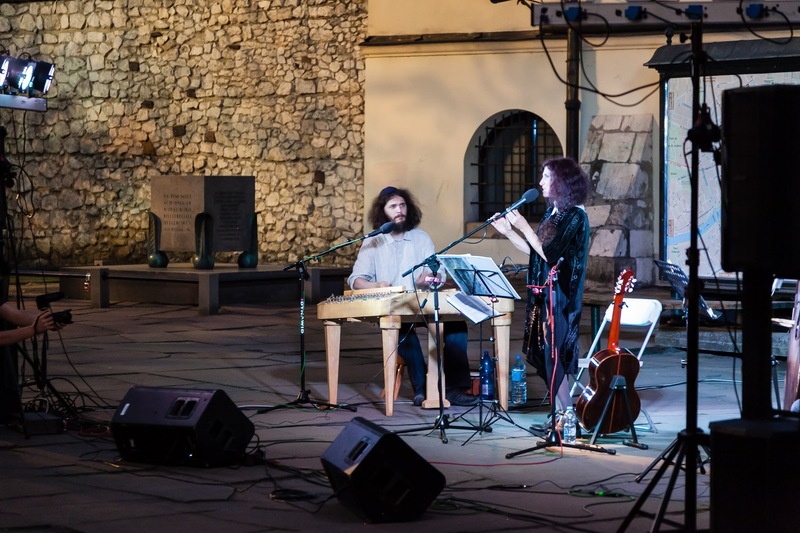 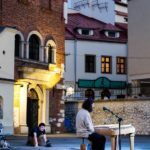 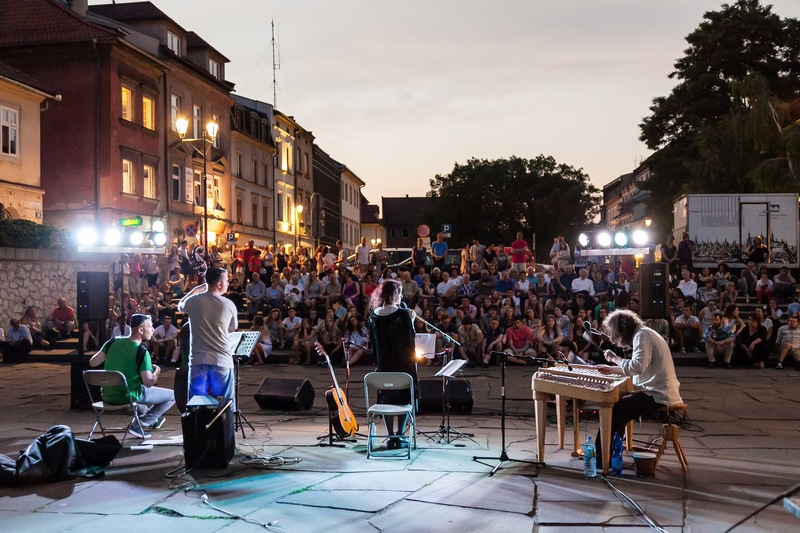 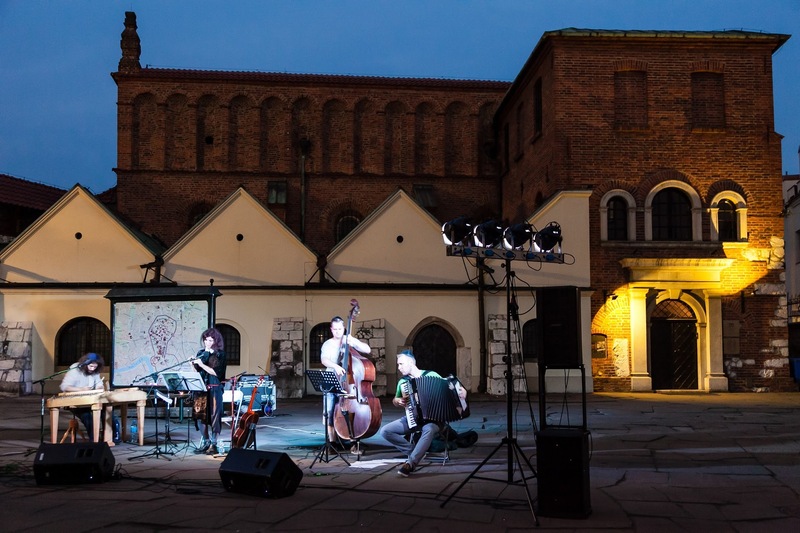 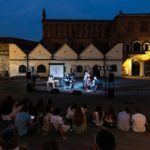 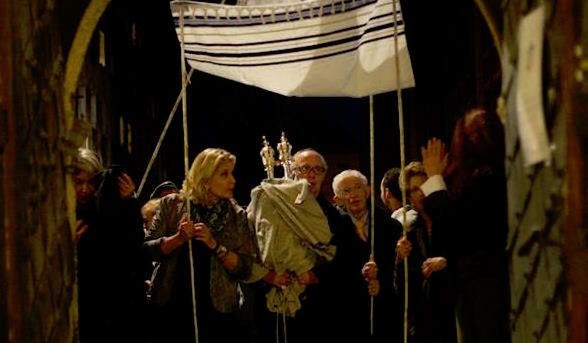 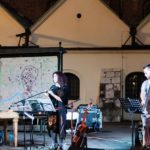 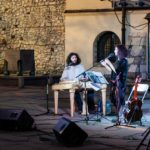 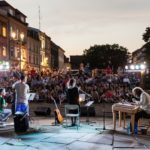 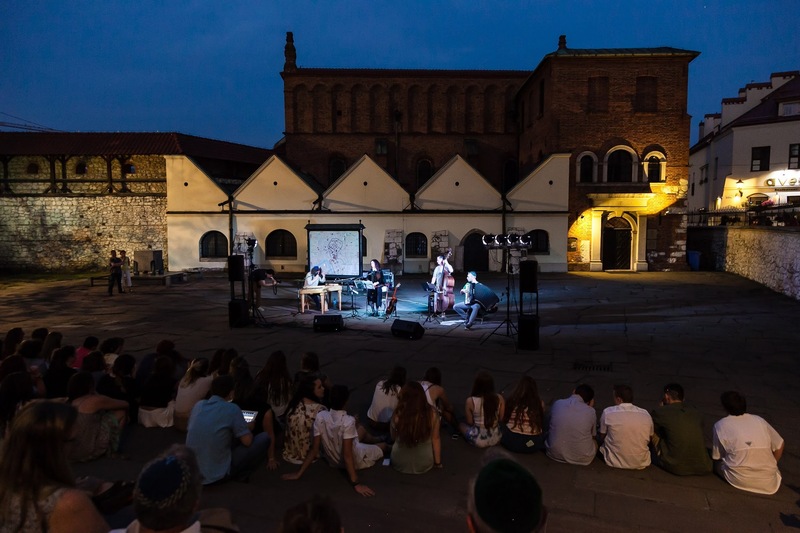 The first Musical Shabbat (June 24th) took place on the steps of the Old Synagogue – one of the oldest standing synagogues in Poland. 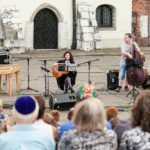 The sounds of Shabbat filled the Szeroka street – the old Jewish market place and spilled onto the streets. 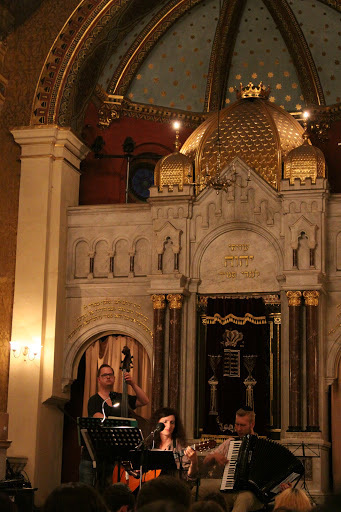 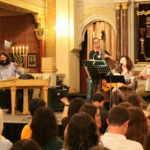 For the second Musical Shabbat we had the privilige to organize the service in the historic Progressive Synagogue in Krakow – the Temple Synagogue. 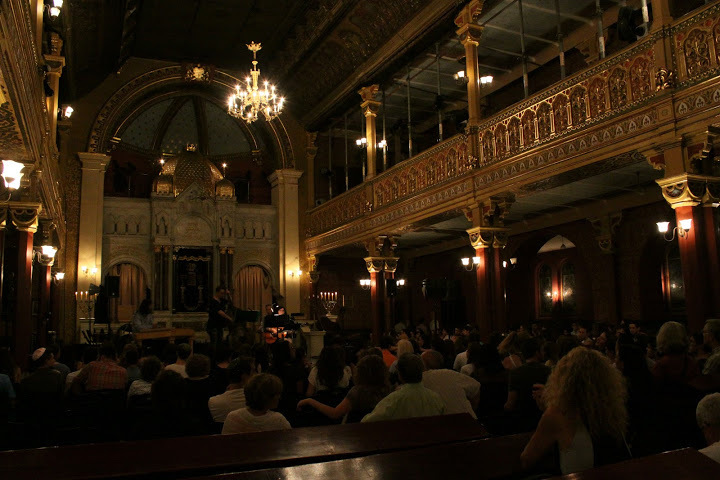 This amazing shul, now over 150 years old, was once one of the most vibrant centres of Progressive Judaism in Poland. 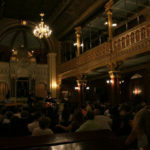 This is where for example Rabbi Dr Ozjasz Thon once drew crowds to listen to his passionate sermons. 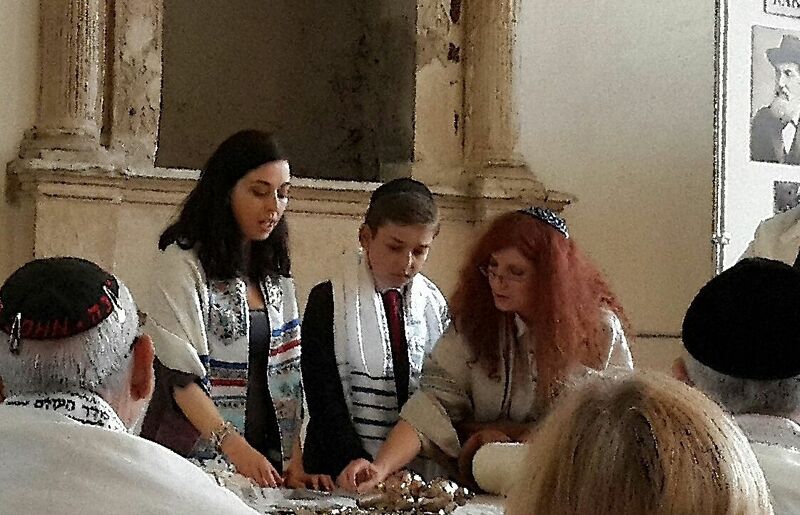 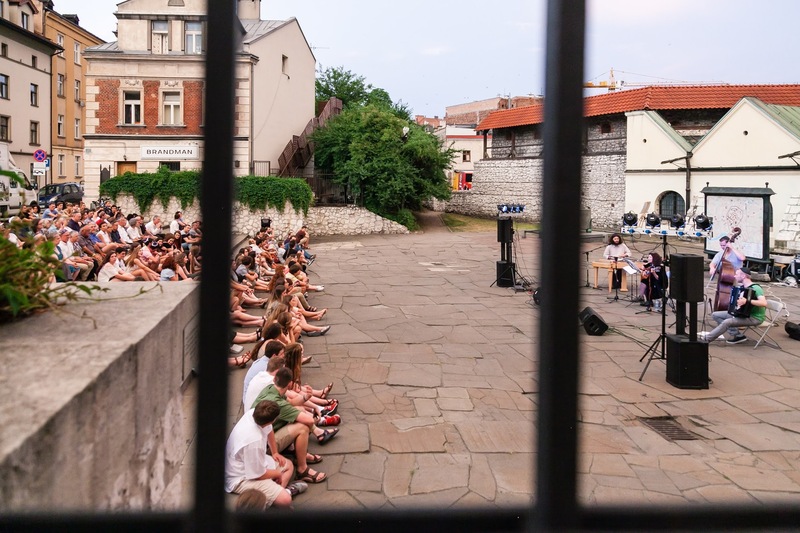 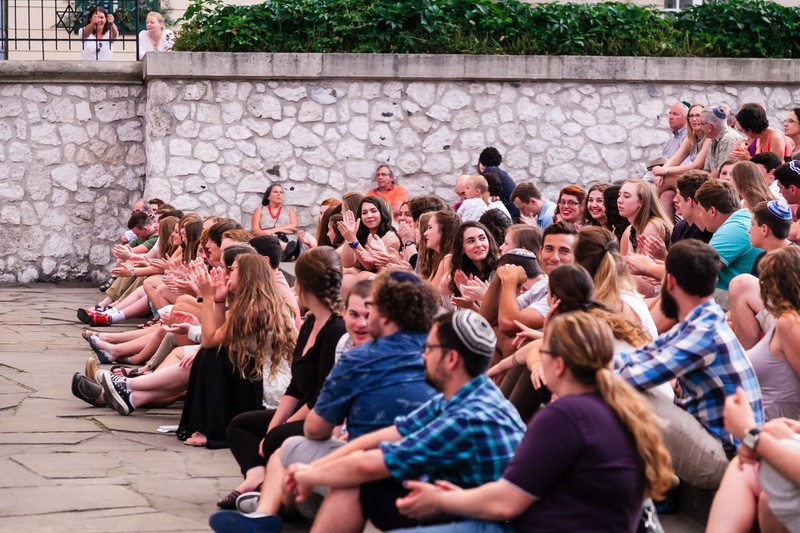 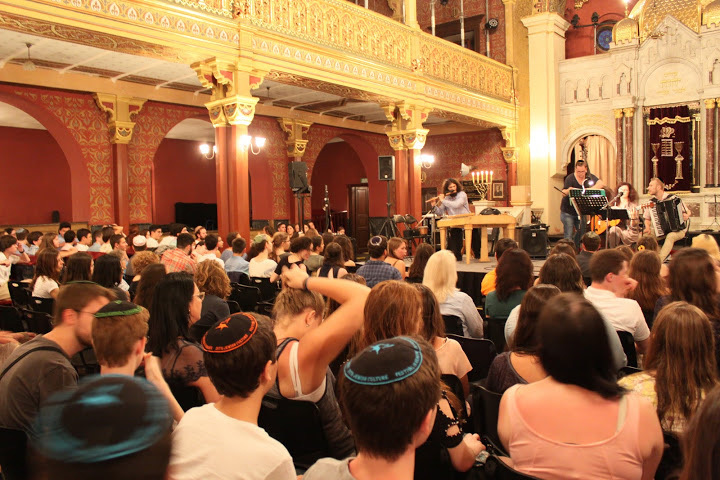 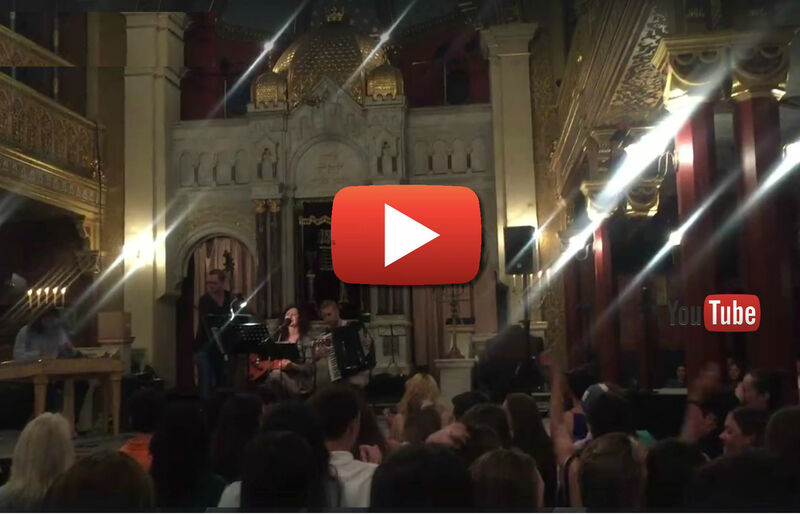 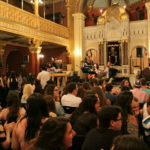 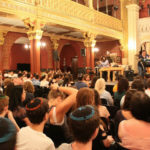 And while many different visiting groups have held services here over the years, on July 1st, 2016 nearly 300 young people gathered to celebrate the first Progressive Kabbalat Shabbat held by the local Progressive community of Krakow in this sanctuary since the war. 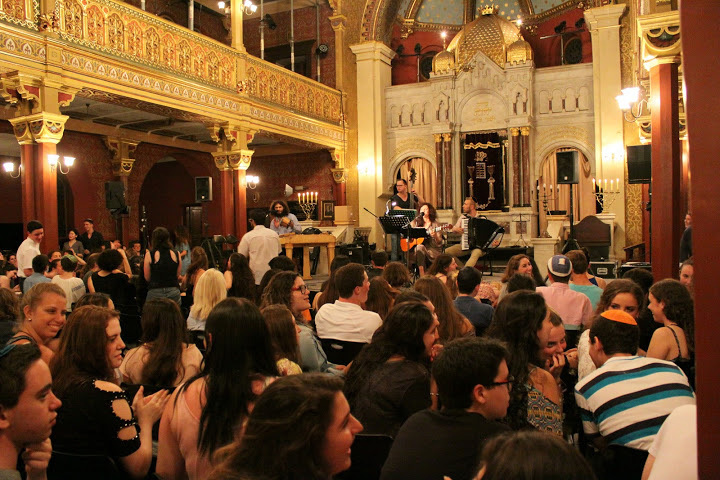 For both services we were extremely grateful to host the amazing and spirited NFTY youth from our movement, who is as big a fan of our Musical Shabbat service as we are of them and we look forward to hosting them again next year. 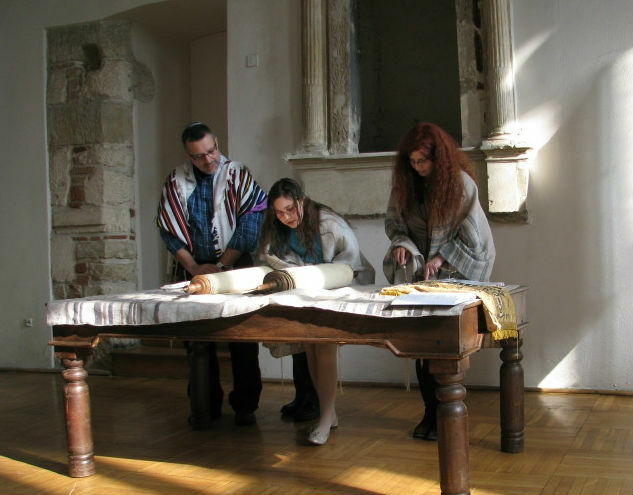 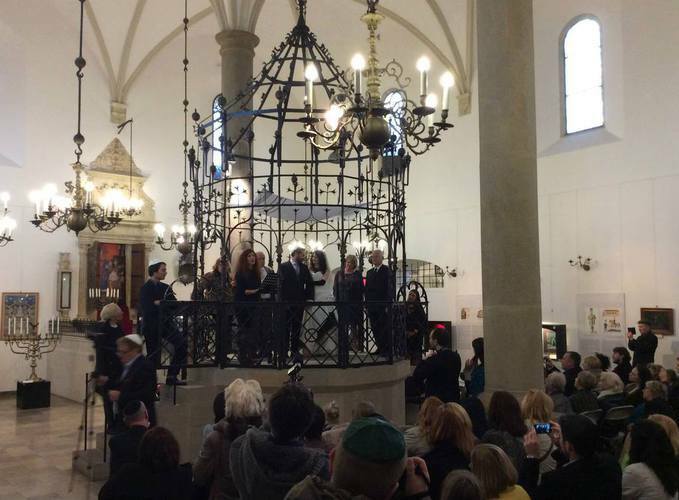 And if the two services in two synagogues waren’t enough the next Shabbat morning we held a service in the High Synagogue – another one of 7 historic synagogues of Krakow. 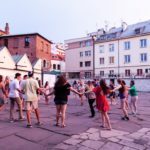 Not bad for a community that does not even have its own permanent home. 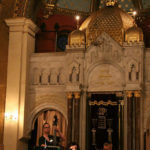 So it was a true blessing to be able to restore holiness to this magnificent spaces that once throbbed with Jewish life and hopefully open the door to even more Jewish presence in them in the years to come. 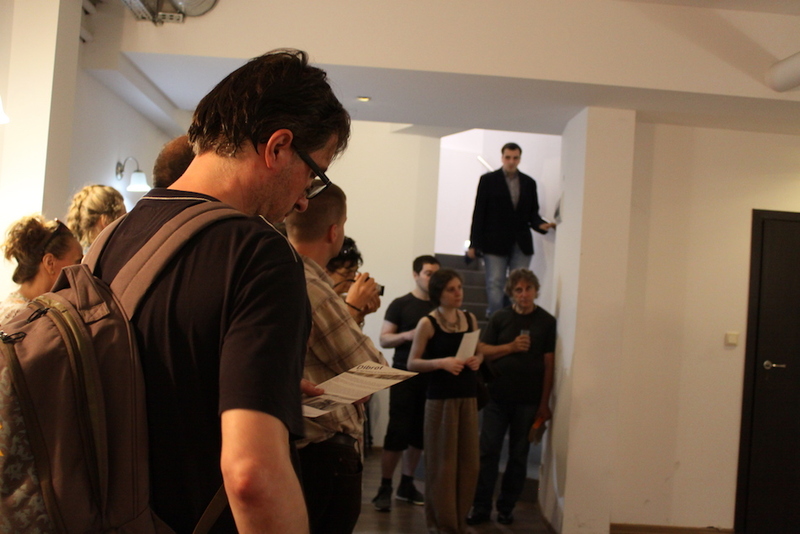 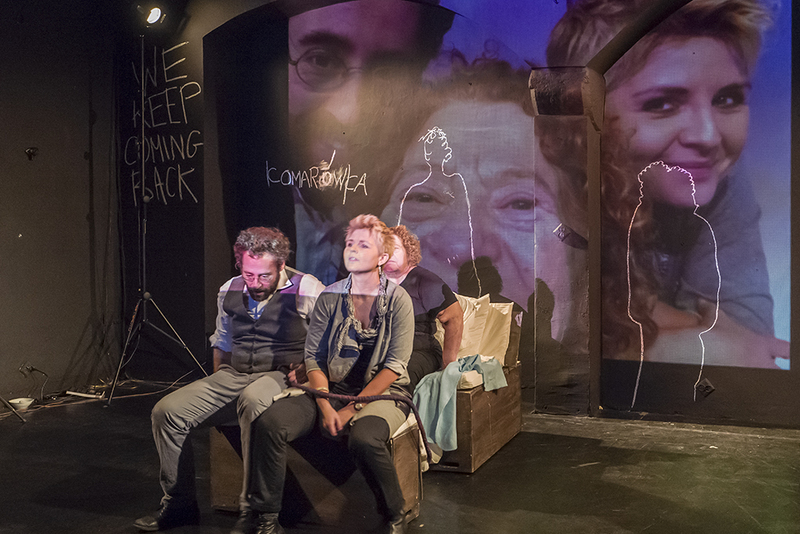 This year we had an opportunity to interact with out theatre audiences on many levels. 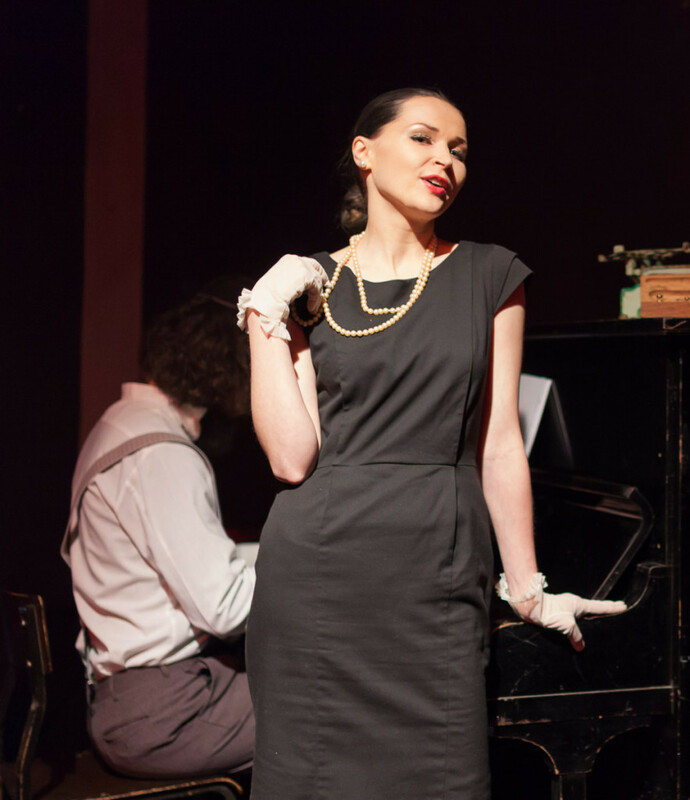 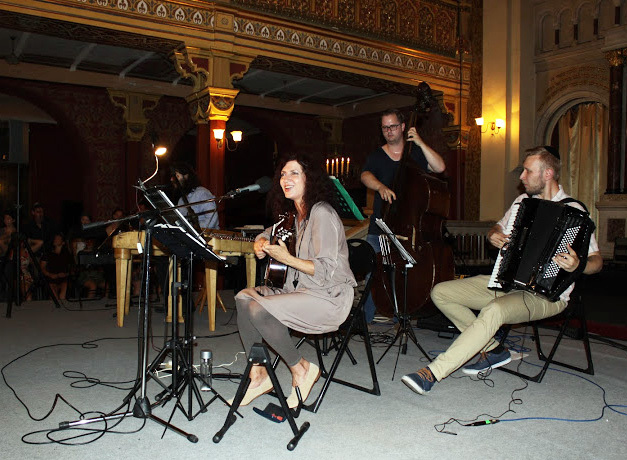 Even already just before the Krakow Festival started, the Lonely Tango of Vera Gran, an original performance of the Midrash Theatre was invited to the synagogue in Chmielnik (now a cultural center). 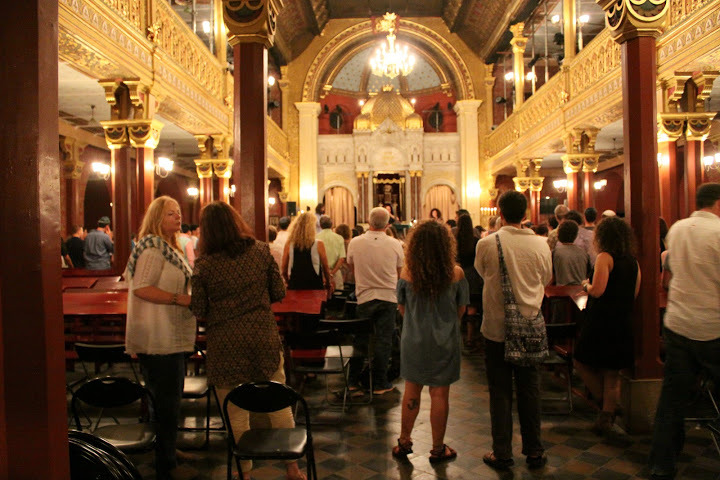 It seemed like our presence in this synagogue was a taste of the things to come and a great prelude to our festival events. 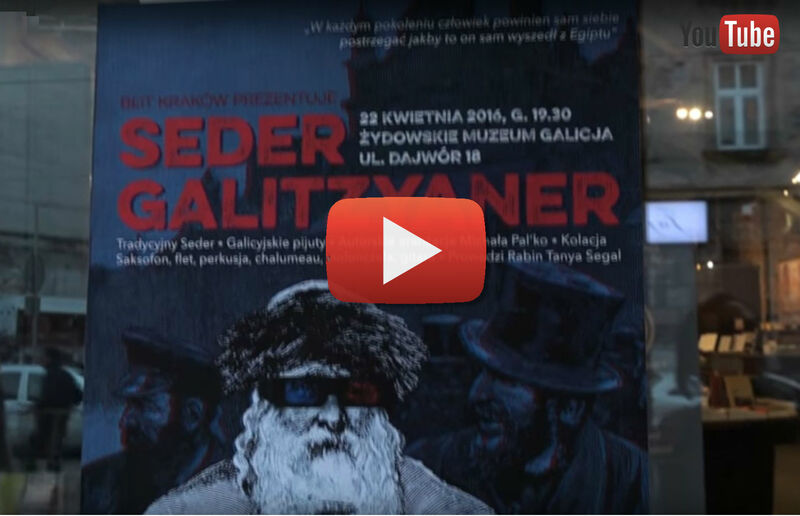 We opened the theatre series with an Evening with the Jewish Theatre, summarizing the 9-year long presence of our Jewish Theatre in Krakow. 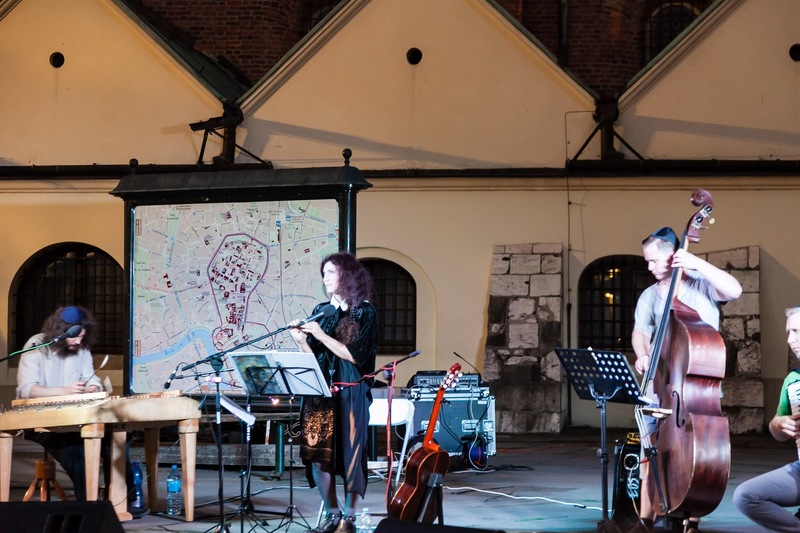 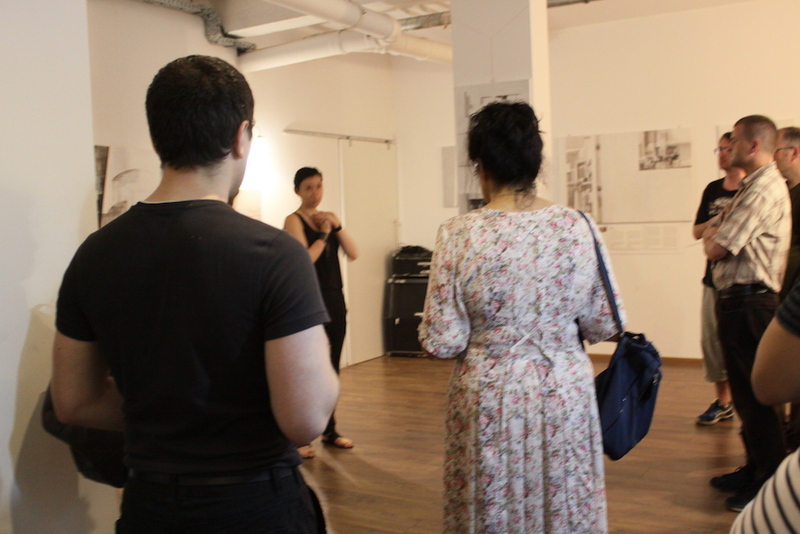 We presented the history of the Jewish Theatre in Krakow before the war and presented excepts from our orginal performances created throughout the years. 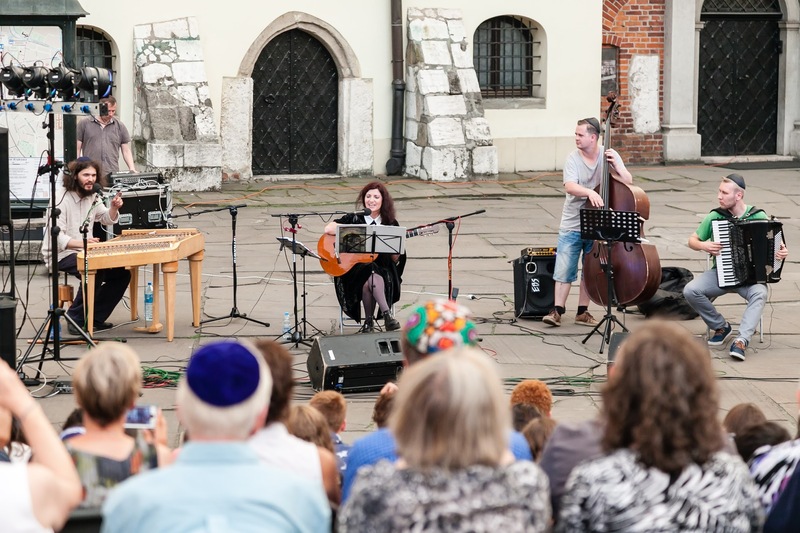 This year we also presen ted two pieces of our Musical Jewish Theatre series – the well known and popular with local audiences Lonely Tango of Vera Gran and our new piece Yankiele, a contemporary interpretation of folk melodies of Polish Jews and cimbalists from the turn of 19th century performed by The Mojše Band. 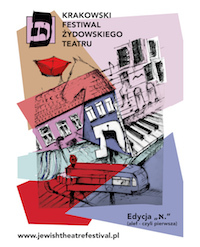 Beit Krakow was also happy to co-present a world premiere of the Canadian-Polish production We Keep Coming Back. 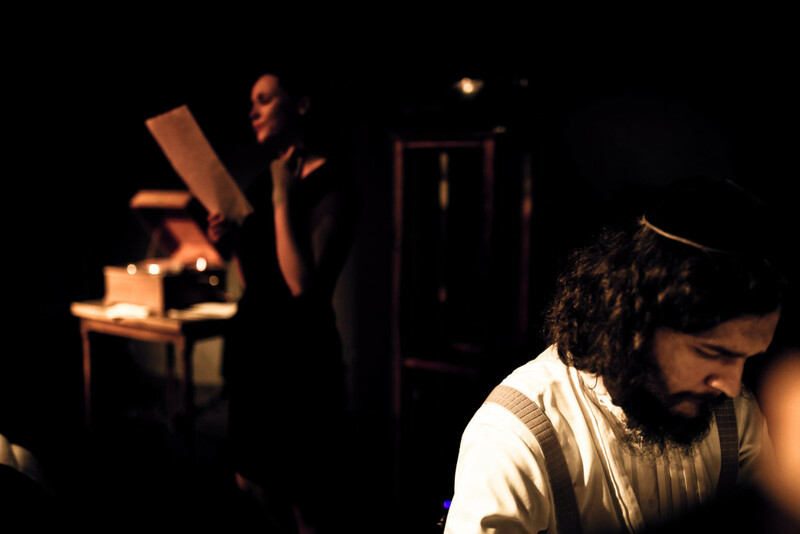 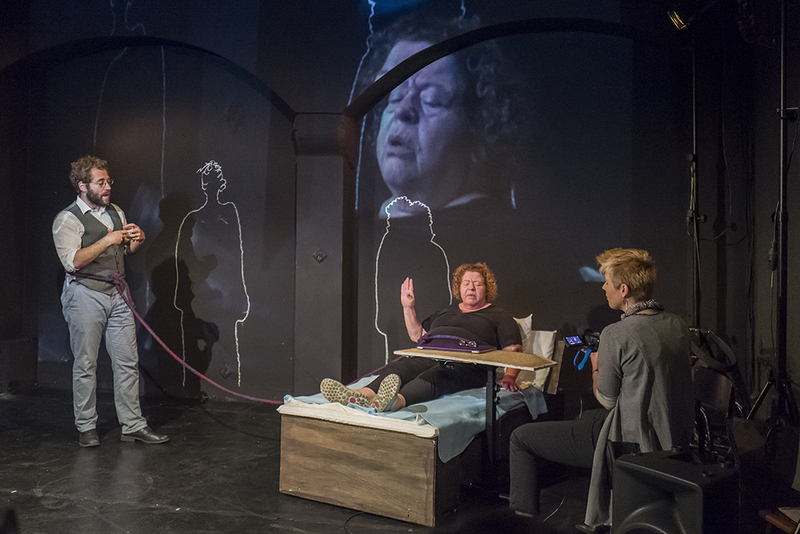 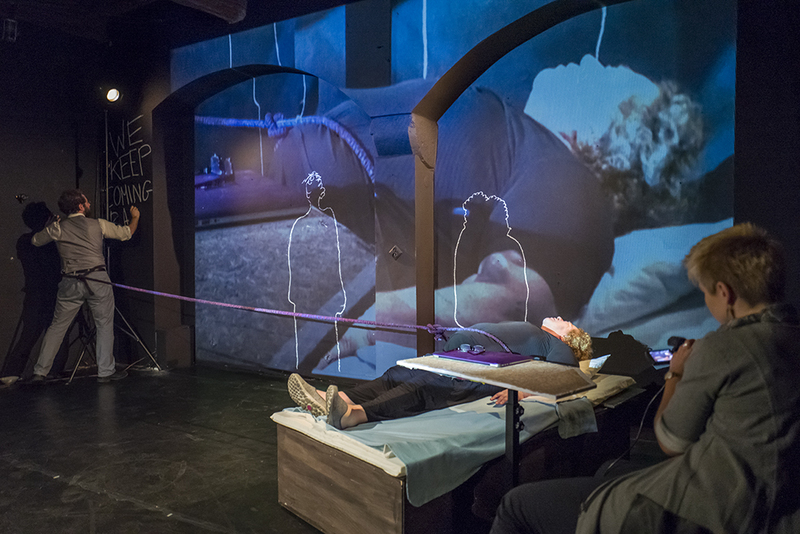 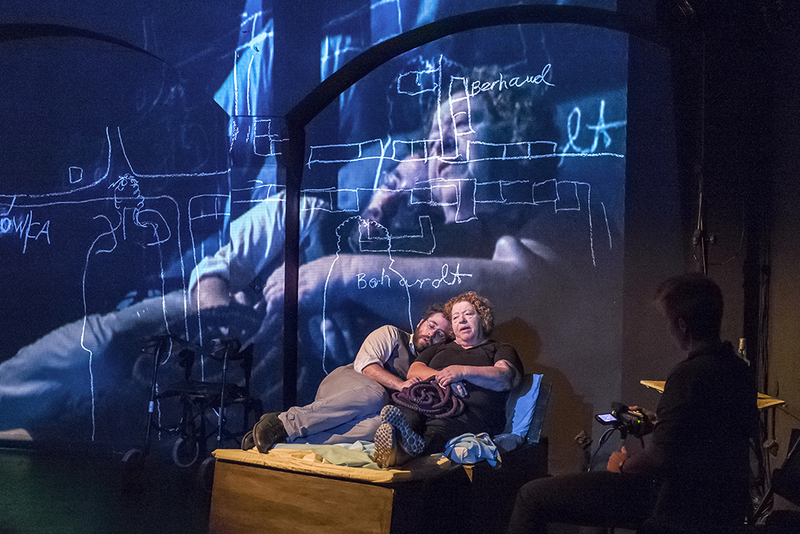 A new play by the Selfconscious Theatre aims to deconstruct contemporary Jewish-Polish narratives. 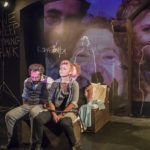 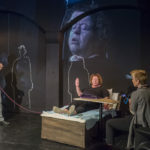 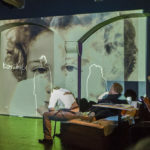 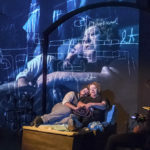 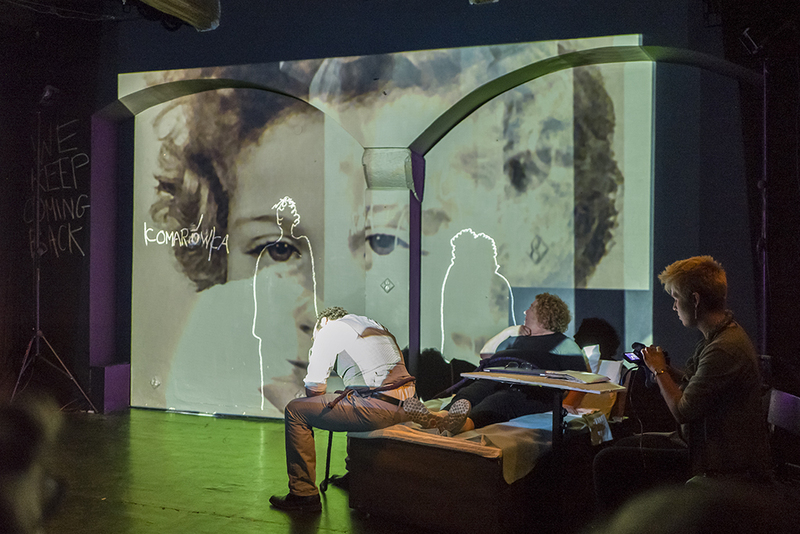 The play inspired passionate discussions about overcoming trauma and re-defining Poland in the consciousness of contemporary Jewish Diaspora. 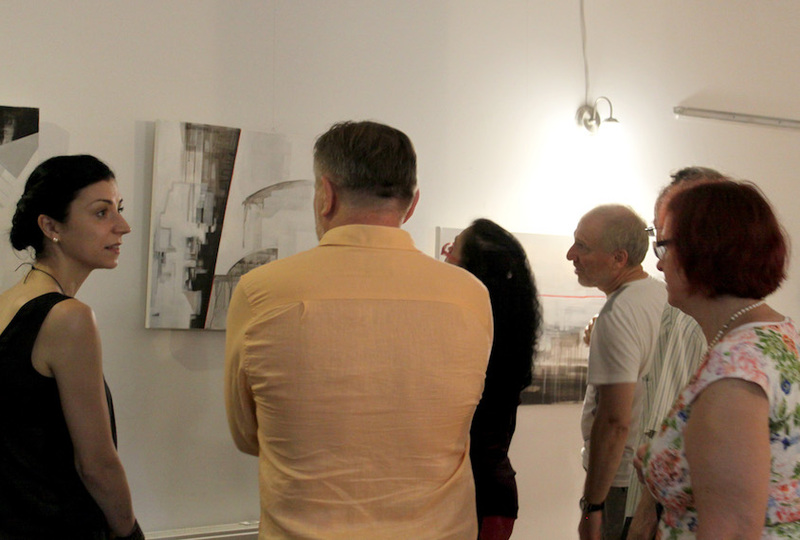 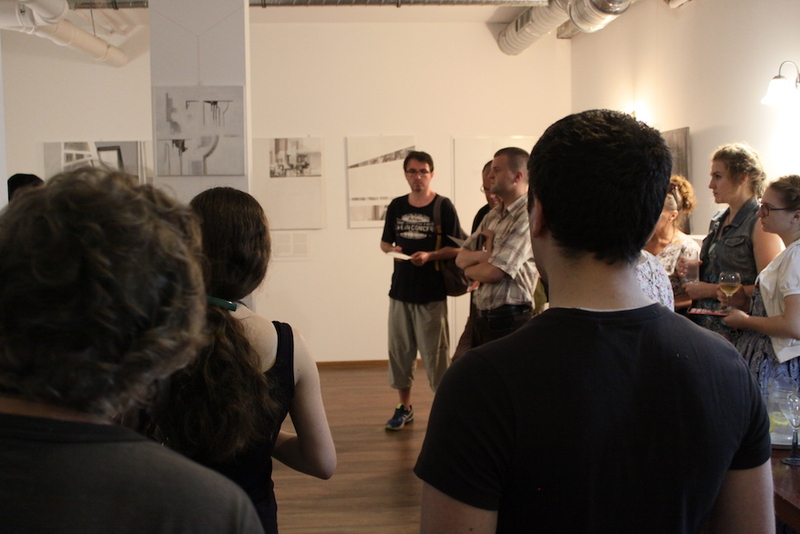 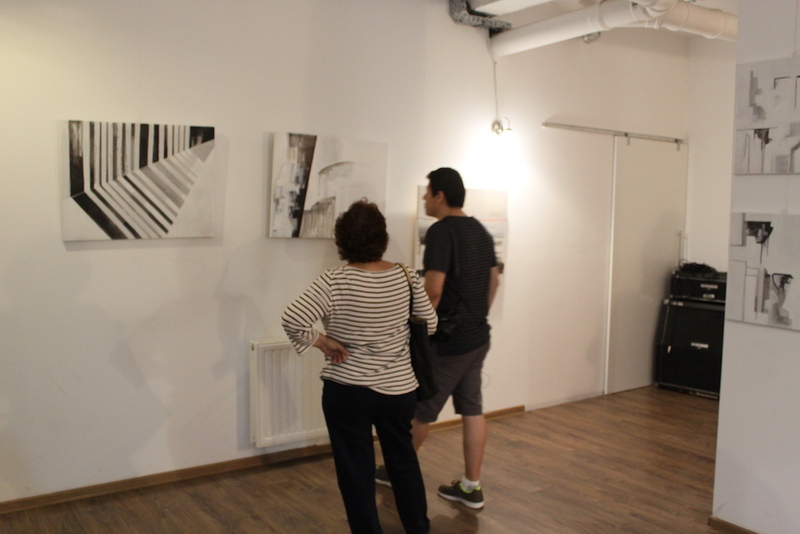 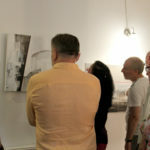 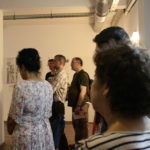 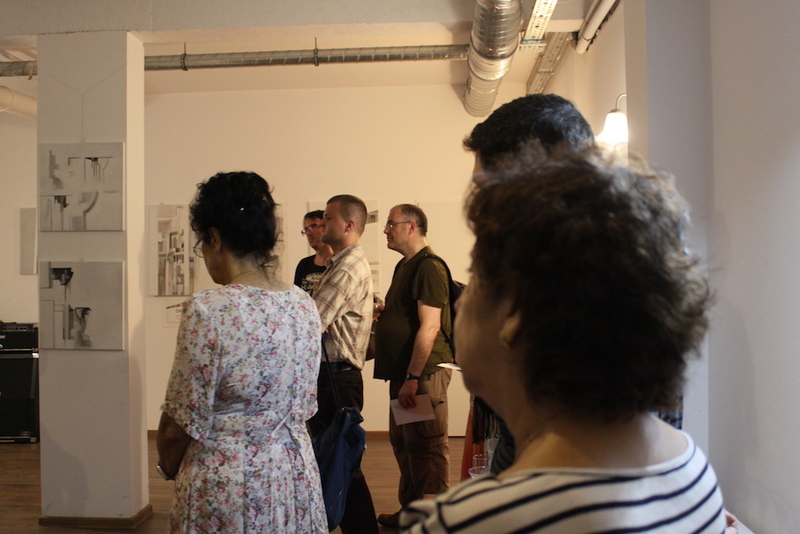 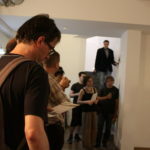 The piece was also accompanied by a preview of the Motherland comic, an autobiographical narrative exploring a relationship to contemporary Poland and to inherited trauma. 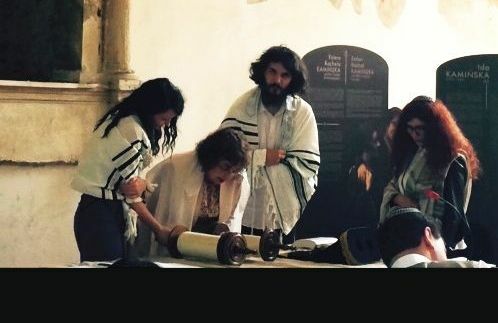 What is a commandment? 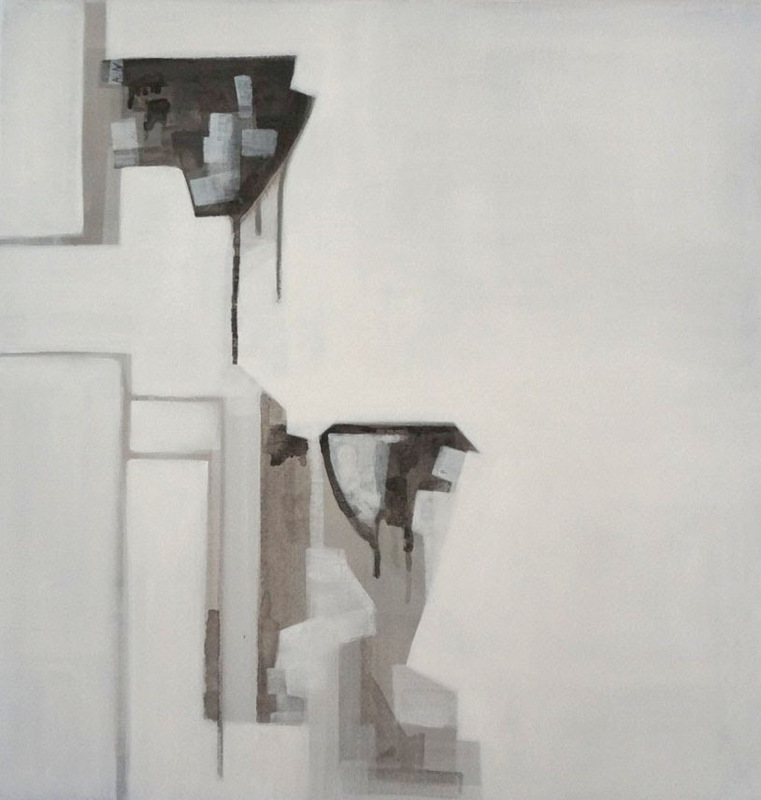 From where does it come? 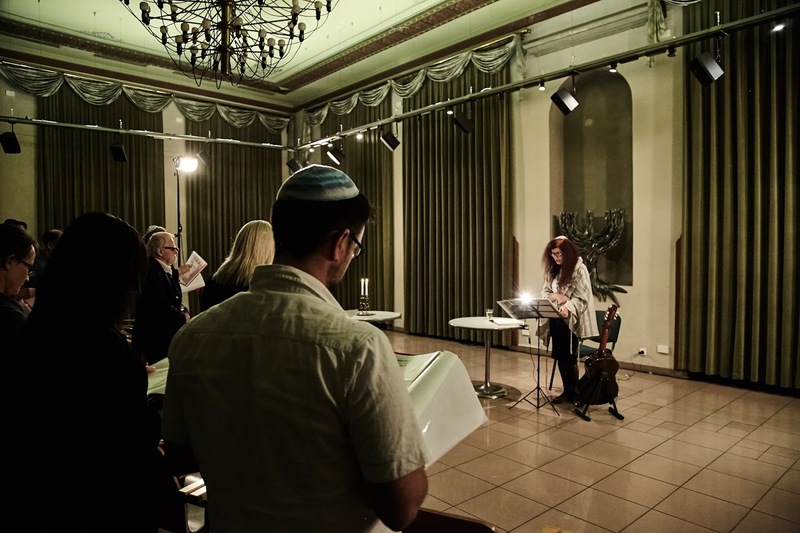 Is it the voice of God or the song of ourselves? 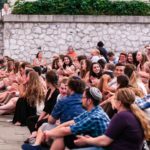 Is it the echo of our mother and father, rabbi and society, best friend and lover, embedding in us what we think of as right or wrong? 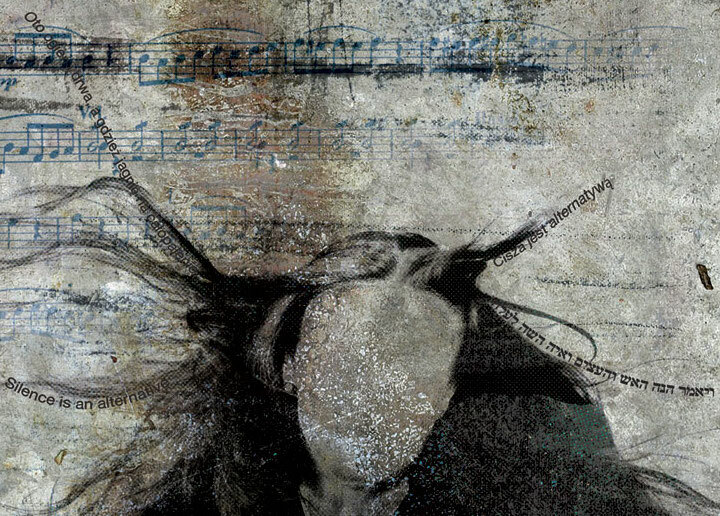 Is there an objective moral imperative that exists, sewn into the fabric of the universe? 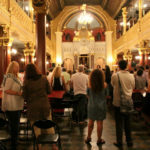 Where do the commandments begin, and when do they end? 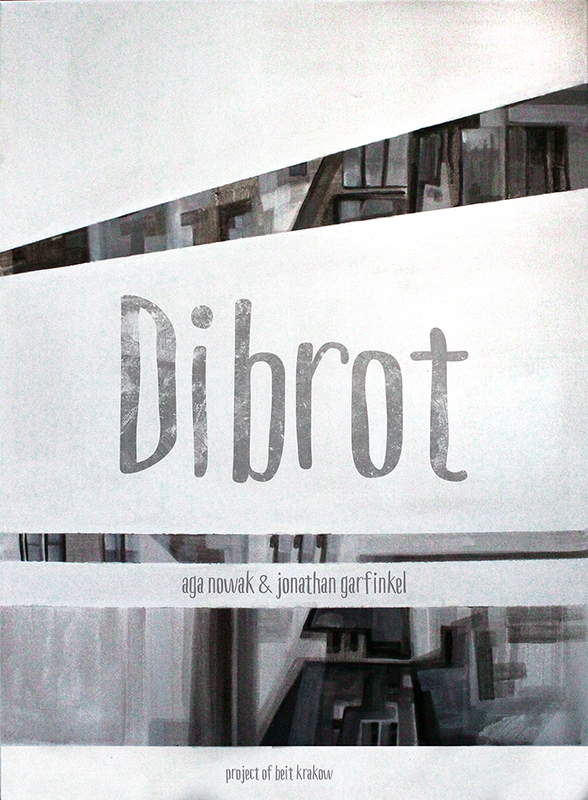 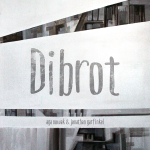 Dibrot, another Polish-Canadian collaboration of Aga Pinkosz (painting) and Jonathan Garfinkel (poetry), is an exploration of these questions. It is a meditation on Sinai and the street corner. 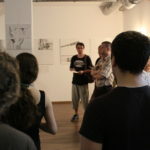 It is an encounter between poet and painter, at the place where the word ends and the image begins. 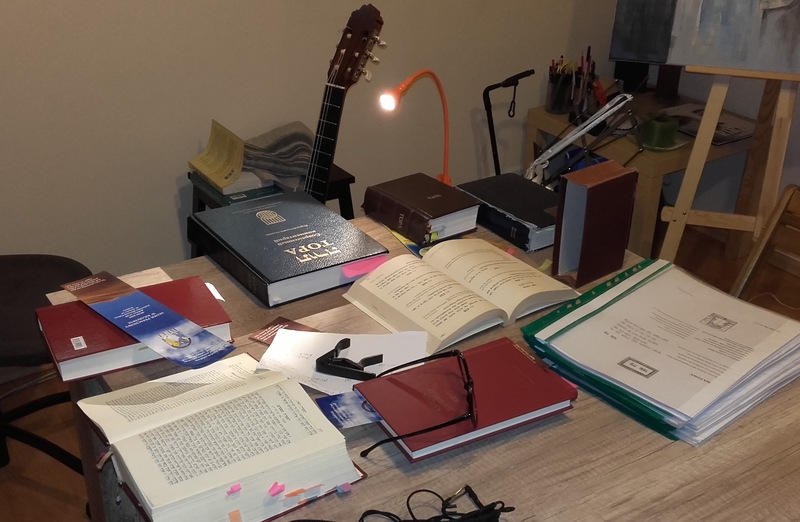 All in all this was an incredibly rich and satisfying time and we are incredibly greatful for it. 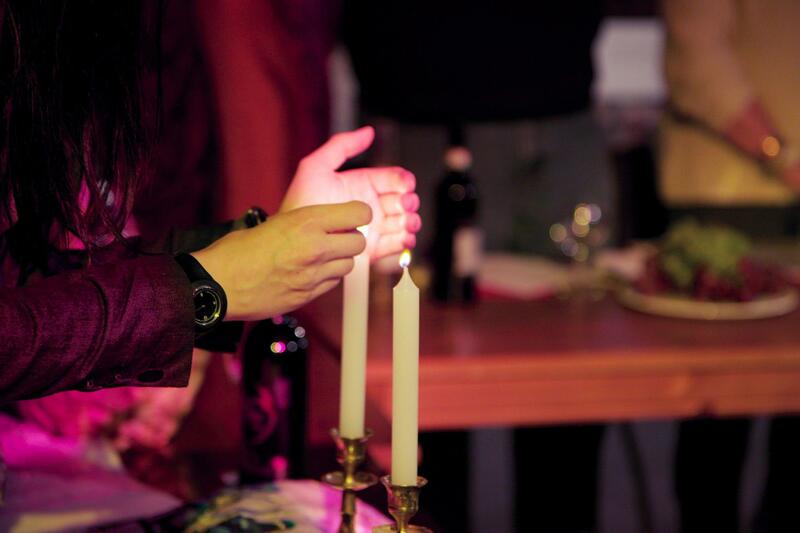 Maybe next year you will spend it with us?